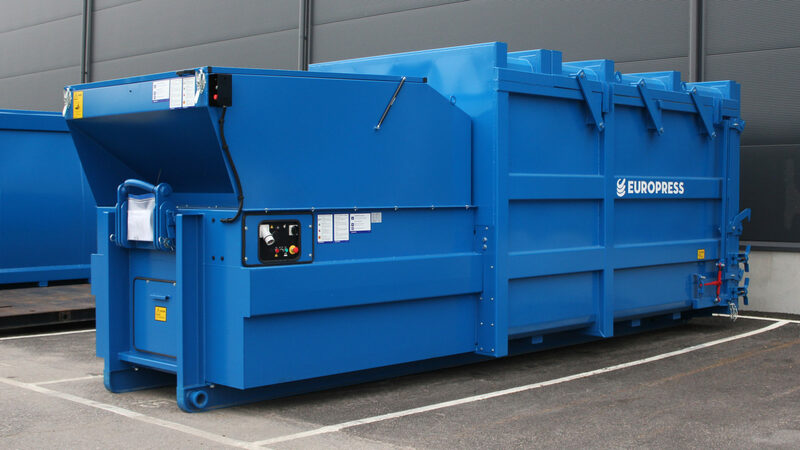 Europress CombiMega FR is a robust portable waste compactor for active use. The compactor features a 21 m³ floating roof container, which together with its 40 tons pressing force contribute to very high payloads. 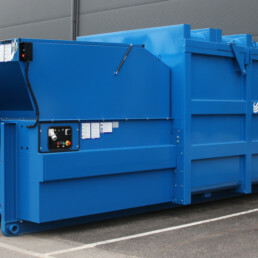 The compactor is ideal for dry waste materials, especially for cardboard. Even the bulkiest cardboard boxes are easy to load without excessive folding due to its extremely large infeed opening – the biggest in its class. The floating roof structure ensures easy discharge of the highly compacted material. The design is based on hinges, which let the roof structure freely float on top of the contained material. 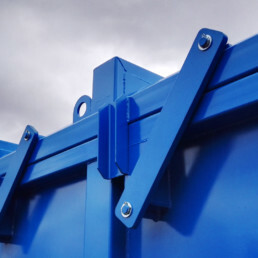 The mechanism provides additional space for the material to come out of the container with ease. Europress CombiMega FR features two-phase opening mechanism as standard to ensure driver safety when emptying the container. 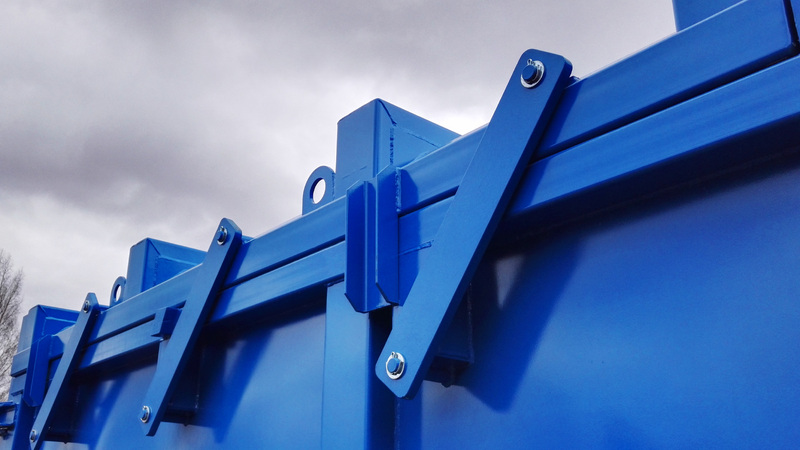 The compactor can be supplied with a range of accessories e.g. bin lifts and rollers. 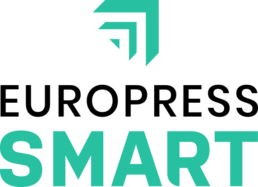 CombiMega FR compactors feature Europress SMART connectivity readiness as standard, enabling integration to the Europress SMART Fleet Management system. The system provides insights on asset data and tools for streamlined fleet management.